Posted October 3, 2016 by Dan Broughton & filed under Blog, Recipes & Nutrition. It is well known that Americans consume too much salt. What do I mean by too much? Well according to the Centers for Disease Control and Prevention, the average American aged 2 years and older consumes more than 3400 mg of sodium daily. That is well over the recommended Dietary Guidelines intake of less than 2300 mg per day. 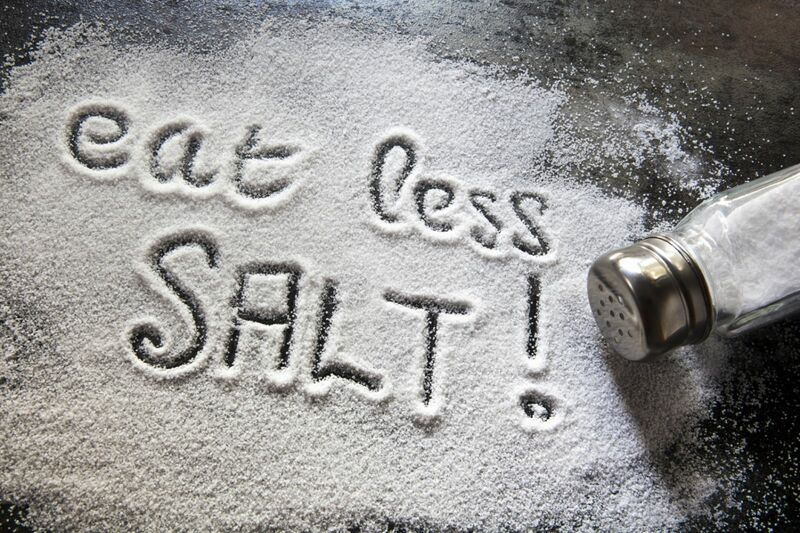 So to bring awareness to this issue, and hopefully motivate you to monitor your own sodium intake, this article will discuss what happens when you eat too much sodium. Now that we know advantages, let’s dive into the disadvantages. First and foremost, the kidneys have trouble keeping up with excess sodium levels in the blood stream. In response, the body will hold on to water in an attempt to try and further dilute the sodium. This not only increases the amount of fluid surrounding your cells but also increases the volume of blood in the bloodstream. An increase in blood volume ultimately means your heart as to work much harder. Over time, this extra work leads to stiffening of blood vessels which can lead to high blood pressure, heart attack, and stroke. Most of the sodium we consume comes from processed foods and foods prepared in restaurants. With that said, the quickest way to decrease your sodium consumption is to prepare your own food. Instead of eating out, or buying processed, ready-to-eat food choices, make an effort to have more home cooked meals. Your heart (and scale!) will thank you.